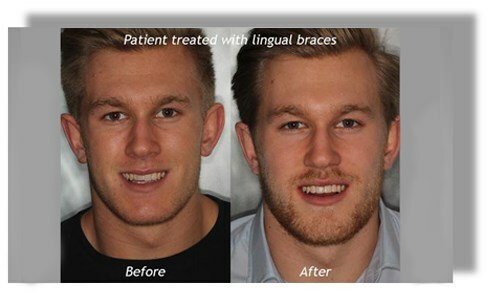 Lingual or invisible braces cost from £1200 in our Central London Clinic. Lingual braces are placed behind your teeth, and are therefore virtually invisible to other people. Usually, lingual brackets are made of metal. This can be paid in 2 equal installments, payable on the day of records and on the day of your fitting. We will tighten your braces once a month, while checking in on the progress of your treatment.